We had another crazy busy weekend. Our oldest had a soccer tournament which ended up being three games, one of which we had to miss so that he could play in his baseball game on Saturday night. I tell you with all of these busy weeks and weekends, this year is flying by already. Now that Cinco De Mayo is over (another example that the year is flying by), what are you going to do with the extra tequila you were not able to use yesterday? I will tell you what you can do with the extra tequila! 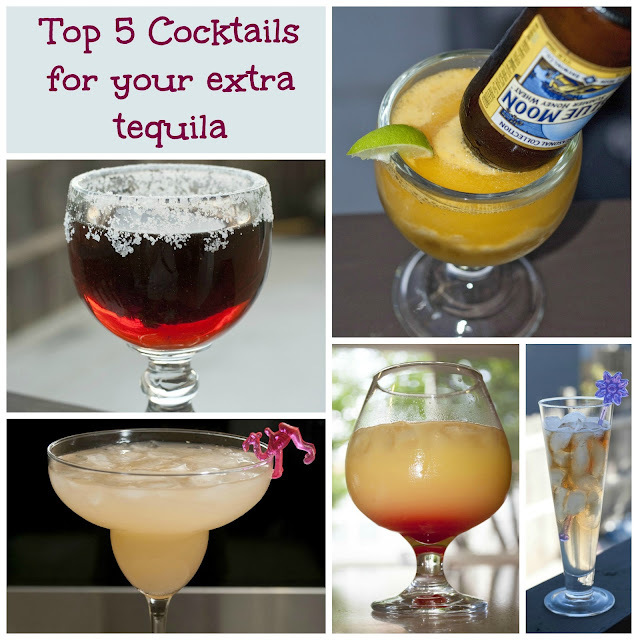 I have put together five tequila cocktails for you to choose from and make. One of these cocktails was on my list of margaritas that I had linked to in my Classic Margarita post and the other four are non-margarita cocktails. 1. 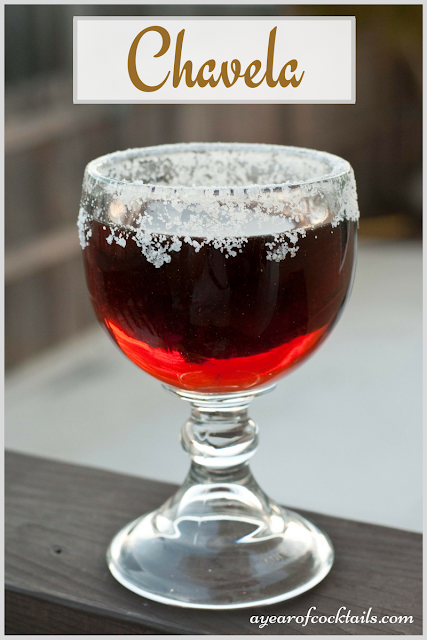 Chavela is a great beer & tequila cocktail that is sure to please. 2. 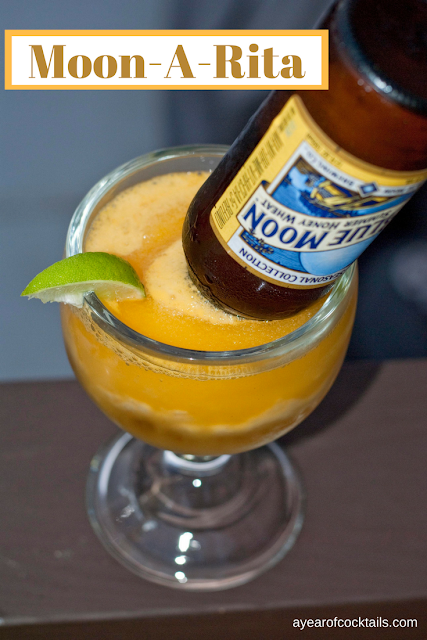 Moon-a-rita......yum, just thinking about it makes me want to pull out my blender and mix up a mango margarita and stick a beer in it! 3. Grapefruit Margarita is a nice change from your Classic Margarita and the other common flavors you find in restaurants. 4. Tequila Sunrise is a refreshingly enjoyable cocktail that is made with tequila, orange juice and a bit of grenadine for that awesome effect. 5. 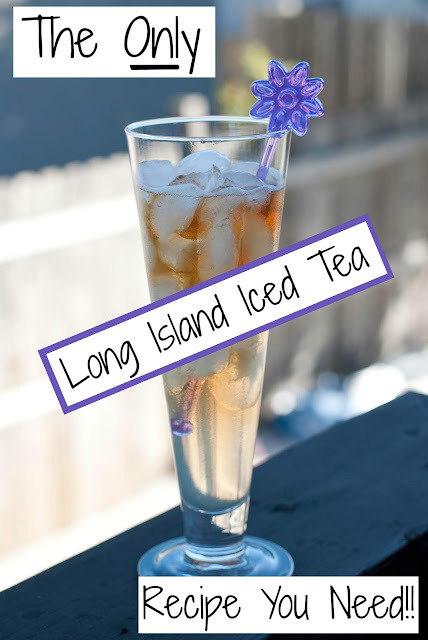 Long Island Iced Tea is a surprisingly delicious cocktail. It's mixed with just about every main alcohol in your bar so be careful and enjoy. There you have it! 5 delicious cocktails that you can make with the extra tequila you have left over from Cinco De Mayo! It just so happened that one of my clients gave me a bottle of tequila yesterday. I do love a Tequila sunrise, are there any other tequila mixes that use minimum ingredients?